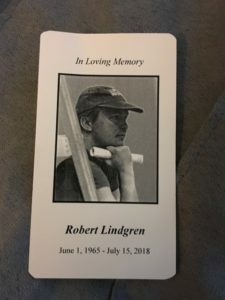 Rob Lindgren, a force in District 214 high school aquatics for more than two decades, died of pancreatic cancer on Sunday, July 15. He had been battling pancreatic cancer since last November. In addition to positions as coach, teacher, official, club supervisor, Rob also spearheaded the Illinois Water Polo High School Boys and Girls Summer Leagues. Twenty two different clubs, several with multiple teams, currently participate in the league started by Rob which ends its regular season this week. This league has been instrumental to the growth of high school water polo in Illinois since its inception. In the recent years, Rob took the league from a more recreational set up to one with a championship tournament, awards for the winners, high level games, and the crowning of an Illinois High School Summer League Champion. He also kept a recreational set up for teams just starting out, allowing all teams, no matter their level of play or experience, an opportunity to play water polo throughout the summer. His efforts in this league were tireless. This past June, while battling cancer, Rob renewed Illinois Water Polo’s commitment to coaching education by organizing a coaching clinic and social at Arlington Park (Arlington Heights, IL). Over twenty five coaches attended the event which saw presentations from several top level area high school and club coaches as well as 2016 Olympian, Brett Bonanni. Following the clinic, live racing was enjoyed and lunch was provided by Illinois Water Polo. Following in Rob’s footsteps, Illinois Water Polo will continue both the high school summer league and the coaching clinics. 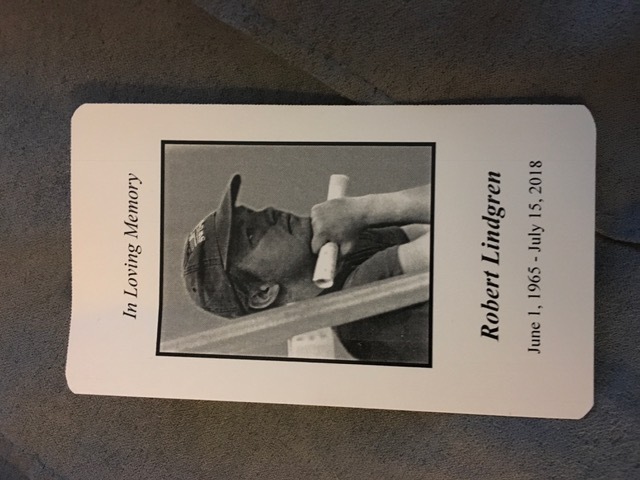 Illinois Water Polo would also like to thank Rob one last time for his incredible efforts in helping provide direction and growth of the sport of water polo in the state of Illinois at the player, coach, club, and high school level. There is also a go fund me page. A Memorial Mass will be held on Monday, July 23rd at 10am at St. Edna Catholic Church (2525 N Arlington Heights Road, Arlington Heights, IL 60004). All are on Sundays at 7 PM at Fenwick High School library.​ Anyone interested in helping grow water polo in Illinois is encouraged to attend. Illinois Water Polo © 2018. All Rights Reserved.